Michael Stowe, the owner of Alliance Game Rentals, has been producing interactive events nationwide since 1982. 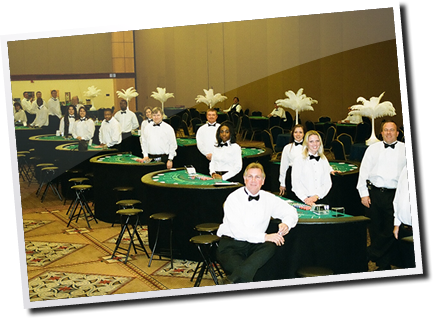 Alliance is located in Birmingham, Alabama and is the primary supplier for high-quality Casino and Interactive equipment in all of Alabama and the Southeast Region. Virtually a one-stop shop for all your interactive needs. Casino Parties, Sports Bar Events, Interactive Arcade Games & Simulators all provide the key ingredients that make our interactive events so popular. They give people something fun to do. They are the perfect entertainment for almost any type of fundraiser, tradeshow, hospitality or corporate event. Just as important as the high-quality equipment is the professional staff that plans and produces all our events. We take pride in our years of professional service and enjoy the process that ultimately leads to a successful event for you and your guests. For more information on our services and rentals, please complete the form below and we will contact you right away!